It is particularly important for individuals and businessman that build their own websites. They spend very precious capital to do so, to find a good web hosting plan. It is very important that you have to know how quickly things change in this sector. In addition, you need to know what the basic components of a good hosting plan are, and learn to compare the best hosting service. There are stacks of hosting firms to choose from, most of which are reputable and honest. It may still be true that some hosts have better uptime result or offer better service deals, but as long as you stay with an established host you should not have any problems. If you are an Aussie looking for local web hosting from Bangladesh, you can check out our products of Web Host BD. You undoubtedly can’t afford to run out of disk space when visitors are relying on your site to provide important information and services. Most of providers now, even low-cost providers, feature unlimited disk storage space, a proof to how much the price of hard disk has come down. Disk space generally refers to the total amount of server disk storage space allocated to your hosting plan account. This disk space is used to store your website files, contents, graphics, audio clips, log files, and all other files that make up your website, as well as webmail messages. Each hosting plan includes a specific amount of disk space and although most hosts offer unlimited disk space, keep in mind this is not to be used for PC backups or general storage. All files must related to the content and functionality of your website. This word refers to the quantity of traffic that can be sent back and forth to and from your site. When a lot of visitors want to connect to your site at the same time, limited bandwidth is a real problem and a business-killer too. Again, even low-cost providers now offer unlimited bandwidth. Is there a 99.9% uptime guarantee ? No web host can honestly guarantee 100% uptime, but many hosting service providers get very close to 100%. A standard range in this industry is now 99.5%, but leading hosting provider will advertise a 99.9% uptime guarantee. Some of the provider make sure 99.99% uptime. Setup fees were suitable at one time when the tools were less powerful and the process less automatic. At present, there is no reason in the world to pay setup fees to any provider and companies that advertise that they offer free setup, these fees are basically imputing a value to something they wouldn’t charge for anyway. This enables you to host various domain names within one hosting account, with the ability to also set up multiple email addresses from those domain names. Is 24/7 support available, and is it outsourced ? Some hosting services don’t let customers call by phone and only offer email, Skype and live chat support. This type support is absolutely critical, It’s very important to make sure it’s available, and the best companies will provide it in several ways via e-mail, Skype, online web forms, chat and phone calls to humans that speak local language and understand you. Do I get installed software for databases, scripting, email, etc.? If you don’t understand or make use of Perl, CGI, MySQL, PHP or other acronyms, you’ve been told important, you do need them. You can make use of them through graphical-interface applications that ease the process or your IT expert or staff can handle all of it. You do need these present to your hosting account. What is the Control Panel Provided? cPanel is by far the most useful control panel for managing websites, and is made available by many of the leading web hosting providers. If it is not cPanel, what tools are offered? If you can’t find much information in a web search about the toolkit being used by a potential host, considering choosing only a host company that has this one available. Many hosting providers nowadays provide their own control panel based on the general functionality of cPanel and they work just as well, sometimes better. Is the hosting plan affordable? Many hosting plans start at under $10 per month commonly less than $5. This is totally affordable, but you can do even better by paying for a whole year’s hosting service in prepaid. Make sure to check if the initial discounted cost of the hosting plan is the same upon renewal per form next year. Are there contracts, excessive fine print and hidden fees? Read the user terms and conditions, and don’t sign up for anything if you don’t know their rules and terms completely. If you see any extra fees or hidden cost, skip the company off your list of potential hosting provider. Check for set up fees and also free domain name terms. 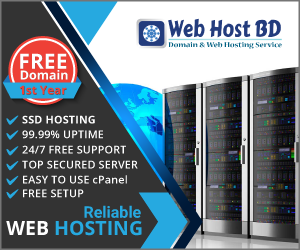 We recommend Web Host BD web hosting provider in Bangladesh and we have already conformed the critical questions. A nice blog on hosting related posts. Yes ! i agree most of the people check the low prices only and they don’t think about features what they are getting. Now, most of the hosting providers offering best features like unlimited bandwidth, unlimited websites and much more which you have mentioned most of the points. Recently i purchased a new hosting economy plan from GoDaddy and got a free domain for a year and big discount on hosting plan.